It's not his battle anymore. 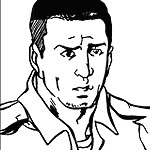 Only a few days later, Magnum is approached by his old friend Richter, the only survivor of Magnum's lost battalion. Richter presents Magnum with a surprising video tape revealing that Deckard and his crew have been captured, and are being tortured then killed one-by-one at the hands of a ruthless drug lord. Before the tape ends, Colonel Deckard makes a plea for help from Magnum. Vietnam veteran; war hero. John is a one-man army, masterly trained in Krav Maga, and built by the Army Special Forces over 12 years to lead a team of highly skilled soldiers through the trenches of hell. He lost his battalion in war, and denied his re-enlistment because of the guilt attached to losing 'his' men. He only trusts one man completely, Col. Deckard, his commander and trainer while in the Army Special Forces. Since his 'retirement' from the Army, John has opened an Army Surplus Store and lives in a small town off the eastern coast where he has lived peacefully....until now. 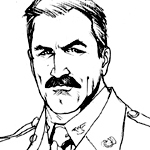 Sergeant Richter is the only remaining member of Magnum's old battalion. 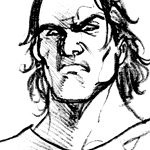 Richter was the sole survivor from a team of 30, thanks to Magnum; he owes his life to him. Richter still serves in the Army, but no longer with the Special Forces; he is now an Intel Operative. He left Spec Ops because of pressure from his wife, and the due to the fear instilled in him from the traumatic events that almost kill him. Richter has a sort of brotherly bond with Magnum, even though they have not spoken since because of a pact he made with Magnum prior to his leaving the military. 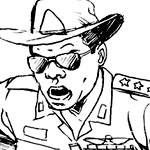 Captain Longino is the leader of Vlad's personal Costa Rican armed militia. He is in charge of hiring and managing an army of approx. 200 soldiers that guard the cartel grounds. Longino is also a high ranking official for the local Costa Rican police precinct, and abuses his position to profit from Vlad's cartel while keeping the cartel's remote location secret from local police units. Vlad treats him with constant disrespect, and finds him incompetent, yet keeps him around anyways because of his connections with the local governments. 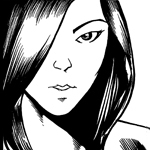 Ting Sun is a deadly female assassin from Chinese background. She is as deadly as she is beautiful. Ting Sun was trained in the martial arts from the age of 10 when she was sold by her family to the Russian mob who used her as a living weapon. She has never known love, nor has ever felt it since being abandoned as a child. She has been Vladimir Kinski's personal bodyguard and assassin for more than a decade. Her true intentions and loyalty to Vlad have been questioned on a few occasions. 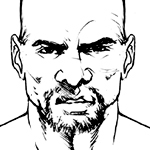 Koh is a massive, muscular, East Indian man with an ugly scar across his face. 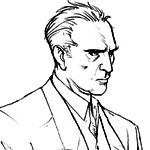 He works for Vladimir as a bodyguard and "interrogation specialist", among other things. Koh's background is largely unknown as he doesn't say much, if anything at all; He lets his brute strength do all the talking. Heavy Weapon™ by David Desjardin. Contents of heavy-weapon.com are © 2007-2014 David Desjardin.